Canaan Smith (born August 24, 1982) is an American country music singer-songwriter signed with Mercury Records, a division of UMG Recordings, Inc. His debut single, "We Got Us" was released January 24, 2012. His sophomore single, "Love You Like That", was released on July 21, 2014. He was also a reality television contestant on The Amazing Race. Smith graduated from Lafayette High School in Williamsburg in 2001 and then moved to Nashville to study at Belmont University. In 2014 Smith became engaged to Christy Hardesty. In 2014 Smith partnered with The Boot Campaign, a charity that supports military servicemen and women. His "We Give Back" advertisement can currently be viewed on the campaigns website. In 2009, he moved to Nashville, Tennessee aspiring for a musical career and co-wrote the hit "Runaway" by country band Love and Theft that made it to number 10 in the Billboard Hot Country Songs and 65 on the Billboard Hot 100 in 2009. His debut single, "We Got Us", was released in January 2012 after being made available on iTunes starting December 24, 2011. The song was written by Stephen Barker Liles, Tommy Lee James, and Canaan Smith himself and produced by Brett Beavers and Luke Wooten. It debuted at number 53 on the country music charts. The music video, directed by Brian Lazarro, was broadcast on GAC making it to the "GAC Top 20 Ballot". Country Weekly magazine featured him in "Ones to Watch in 2012", as did Roughstock. Smith returned to the studio in February 2012 to finish his debut album. 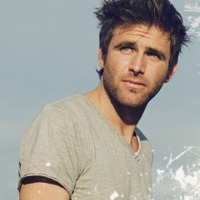 On July 21, 2014, Canaan Smith released his sophomore single, titled "Love You Like That". The music video was released on Vevo on September 10, 2014. In October 2014 Canaan was featured as one of the "10 New Artists You Need To Know: Fall 2014" in Rolling Stone Country.